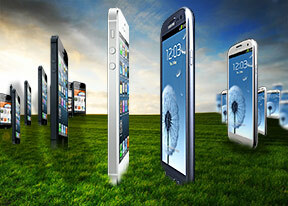 From using both the iphone5 and the s3, the iPhone has the victory. Yes the s3 is better suited for videos because if its size, the iPhone still takes win because the videos run with a more smooth playback with a clearer picture than that of the s3. Games run better on the iPhone as well. I have always been a Samsung fan, but the iPhone 5 outshines the s3, in almost all aspects for everyday use. It's a bit more expensive but trust me, it's worth it. Hands down the iPhone 5 is top of its class. Whats??? No matter, is better Samsung SIII than Iphone 5... Easy! Vinorum, 12 Feb 2013I absolutely agree with you. I had to buy an iPhone because I was getting sick of Android. Now... moretotally agree!!! AnonD-100327, 12 Jan 2013Such a long and detailed review iPhone 5 vs Samsung Galaxy S III, and not one time is it menti... moreI absolutely agree with you. I had to buy an iPhone because I was getting sick of Android. Now the experience with my iPhone 5 has been glorious. The interaction with the user was intelligently designed to have solutions to everyday activities. Not so with Android. There are a bunch of thing I wish iOS had, but I'm pretty happy with the way I can interact with my phone. I also think this review is inaccurate. features in the smartphone business.” That’s right, he said it. products – key word there, currently. not given; the need to have the best products is always there. anything by waiting months after its initial release. Why? out now is the best time to do so. Galaxy s3 is the better phone. well i got both phones ..both got aspects that i like and i dont.but i do enjoy both ecosystems.and on top i got windows pc so three ecosystems are enuf. awesome features are useless if you are being limited by your phone's battery life.. get the cheaper unknown superb phone innos D9(cloudfone thrill 430x) instead. Its all based on preference... If you like aesthetics then go for an Iphone but if you like performance and specs go for an android. Im personally an android person myself. interns of how realistic camera photos look my phone kills both of these hands down. 3D is better than 2D lol. though personally I prefere the s2 to s3, don't know why but just do. AnonD-108202, 02 Feb 2013LOL..... The SIII won outrightly on FIVE occasions (Display comparison, Telephony, Video pl... moreStill camera on S3 it's crap, built quality crap, screen good, call quality average. P.s S3, note 2 and iPhone 5 user. Both of them r gr8!though i like sg s3 for it's creativity and user friendliness&price!but when it come to quality,nothing gets closer to iphone 5! I'm highly impressed by your indept & detailed analysis of both smart phones. You highlighted superb features that really makes me appreciate the brains behind the products. Both are very good smart phones, i commend you so much.